The Bank of England must be fed up with Brexit! Sarah Breeden, the Bank’s Executive Director, International Banks Supervision has just given a speech warning us that the world’s economy will collapse if institutions and companies fail to prepare now for climate change. 1) Physical risks arise from damage to property, land and infrastructure from catastrophic weather-related events and broader climate trends such as heatwaves, hurricanes, droughts, floods and rising sea levels. 2) Transition risks arise from changes in climate policy, technology and market sentiment as we adjust to a lower-carbon economy. The need to transition is widespread, affecting not only energy companies but also transportation, infrastructure, agriculture, real estate to name just a few. The implied change in energy costs from the transition will have a significant effect on many businesses. And so banks that have provided loans to those companies and investors that own their securities may find themselves with unexpected losses. The first one, as we know, is pure bunkum. 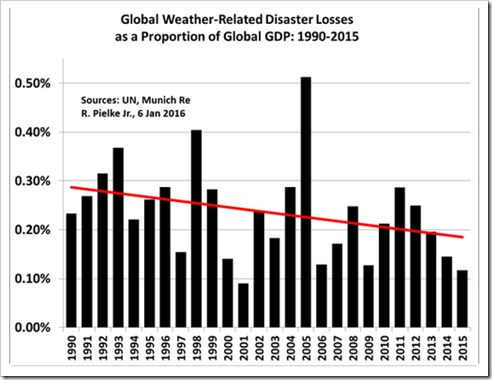 There is no evidence that extreme weather has got worse, or will do in future. As for transition risks, the obvious exposure is for oil companies and talk of stranded assets. However, Ms Breeden seems to be missing one very basic fact. The market valuation of any company depends largely on projections of discounted income in the near to medium term, and not the asset values currently shown on the balance sheet. Royal Dutch Shell, for instance, currently offer a return of 5.8%, a much higher rate than any “safe” investment. Whether Shell is still solvent in 30 years time is not relevant to today’s investors, who clearly know more about the value of investment’s than she does. 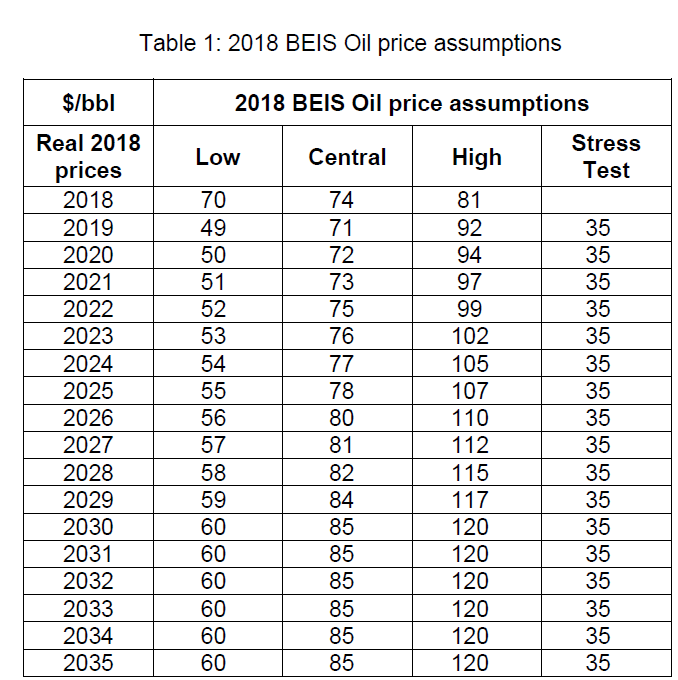 In any event, the official BEIS projections forecast that the price of oil will continue to steadily rise up to 2035. This is hardly consistent with a market which has turned its back on fossil fuels. Significantly though, she does talk about the risk from higher energy costs on the economy as a whole – a significant effect on many businesses she says. Perhaps she should be complaining about this to the government! My natural focus as a central banker is on the risks. But let me spend a brief moment on the opportunities. Back in the real world, normal people would not call this an “opportunity”, but a “cost”. 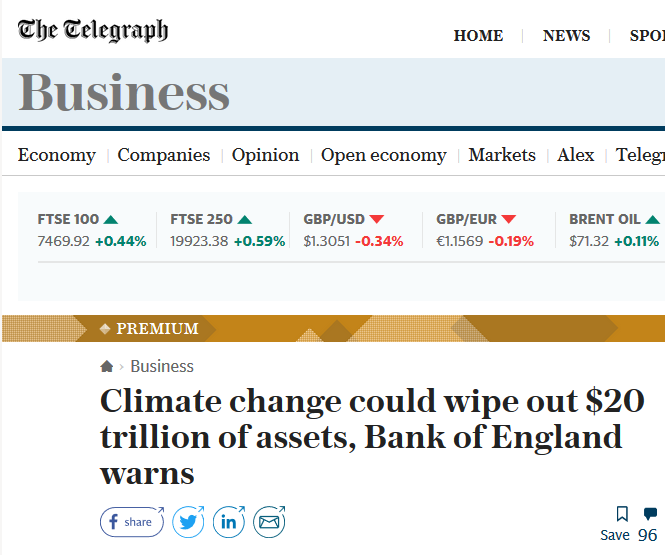 $90tn to finance the transition in the next decade alone is clearly unaffordable in any sense of the word, and it is a pity that central bankers are not leaping up and down, warning us about the very real risks to the global economy that this obsession with climate change is bringing about. But, of course, all she really cares about are the nice, fat profits that banks can make out of the green finance scam.